The Florence Paint Brush Easel is a stylish and hard-wearing wallet which adjusts into an easel to protect & carry your brushes. 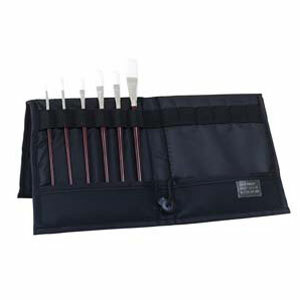 Designed with nylon fabric foam, the Florence Paint Brush Easel is padded to protect bristles and will circulate air, even when closed. The Florence Paint Brush Easel opens out to 330mm x 350mm and is 165mm x 350mm when folded.